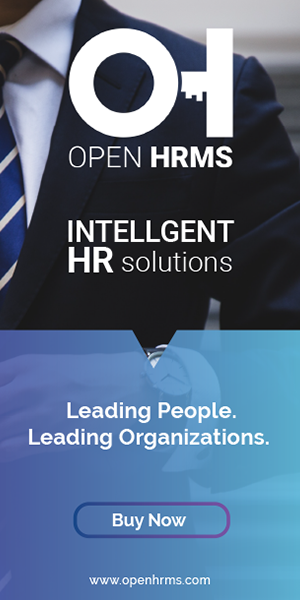 Open HRMS Service Request comes as one of the pivotal components of ‘Open HRMS’ software, a complete suite of management application for the effective and efficient management of human resource in a business organization. Often in a large-sized enterprise or the business organization, it turns out to be strenuous and tedious to handle multiple or the numerous number of service requests from employees large across. Large sized enterprises often compose with multiple branches with a large workforce often resulting in a large number of service requests. In this case, it is very difficult to process every request coming in the way in the requested period. This situation can be handled very easily with the implementation of effective service request management software like Open HRMS Service Request, where one can seamlessly handle all the services requested by the employee. ’Open HRMS Service Request’ makes the process of requesting and supplying of desired request simpler and quicker. This module also triggers multilevel approval in various stages for easy processing of the requests in real-time. Open HRMS Service Request improves the workforce productivity via real-time processing of employees requests of necessary tools and other requirements. Under Open HRMS Service Request Module, an employee who is in need of a service can request to the HR Manager or the Administrator along with the complete details of the service he is requesting for. The HR Manager or the Administrator whoever is receiving the request can thereby assign an executor to perform the action of service. Later the request gets transferred to the executor's account number. Soon after the executor starts performing the service task requested by the employee. After the completion of service, the executor under Open HRMS Service Request sends back the performed action of service to the employee which indirectly notifies that service is accomplished and checked. At this point, the employee can either approve or reject the checked service after testing. 1. Provisions employees to raise request and thereby view its status. 2. Defines Service Type and Item for Service enhancing visibility. 3. Assigns executors and approvers at multiple levels for smooth handling. a) Firstly go to the settings and the select employee who want to raise the request. Secondly, set the field ‘Inventory’ as ‘Manager’. c) When an employee selects the menu item a ‘Request Service’ form will appear like below where the employee needs to fill some mandatory information in the field provided. 1. Reason for the Service: The field defines the reason that led the employee to raise the request. 2. Type Of Service: The field defines the service requests types like Repairing, Replacement, Checking etc. 3. Date: The field specifies the corresponding date in which the employee raised the request. 4. Employee: The field defines the name of the employee requesting the service. 5. Item For Service: This field directly to a product creation from where the employee can choose which part/product is required for him to perform the action .e.g. : Keyboard, CPU, RAM etc. 6. Service Executor: This field is read-only for the service requestor or the employee. Only the HR Manager or the authorized Administrator can access and hold the right to assign the Service Executor to perform the requested services. 7. Internal Note: Under the field, Employee can add any additional information about the service. After filling every field, the employee can click the button ‘Submit’ for sending his request. d) Now it's time to assign executor to the requested service.This function is carried out by the Administrator or the HR Manager. e) After selecting the Executor click the button ‘Assign’ to make executor responsible for the requested service. f) Now go to the executor's account, we can see that the request will there under the menu ‘Service Execution’. The executor can perform the service and if the service is finished he can mark the request as ‘Checked’ by clicking the button ‘Checked’. g) Now going back to employee’s account who requested for a service. He can either approve or reject the service which is performed by the executor. If the requested service is completely fulfilled, click the button ‘Approve’ or else click on the button ‘Reject’. h) If the employee approves the performed service, the state will change from ‘Checked’ to ‘Approved’.